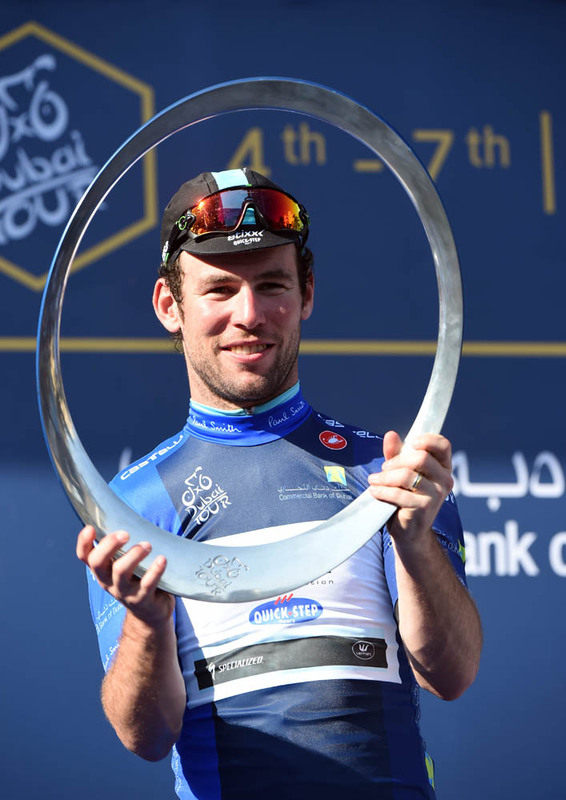 Mark Cavendish (Etixx-Quick Step) won the final stage of the 2015 Dubai Tour with a dominant sprint finish. 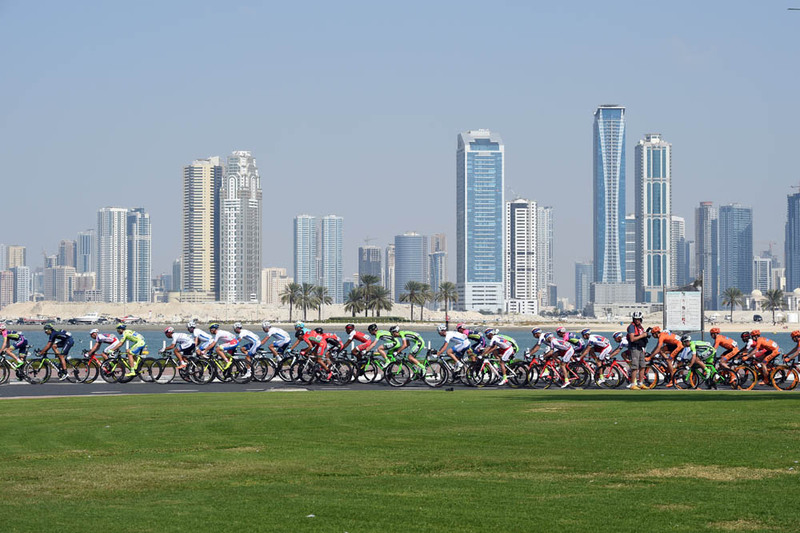 The ten bonus seconds he gained from being first over the finish line was also enough for him to win the overall, with overnight leader John Degenkolb (Giant-Alpecin) finishing further down in ninth place. Cavendish benefited from a superb lead-out from his team. With 2.5km they moved to the front of the peloton with a train five riders strong. Despite attempts from Sky and UnitedHealthcare to take over at the front, Etixx retained control at set their sprinter up perfectly. By the time final domestique Mark Renshaw was at the front, there was a clear gap of a few bike lengths between him and Cavendish ahead of the rest of the peloton. 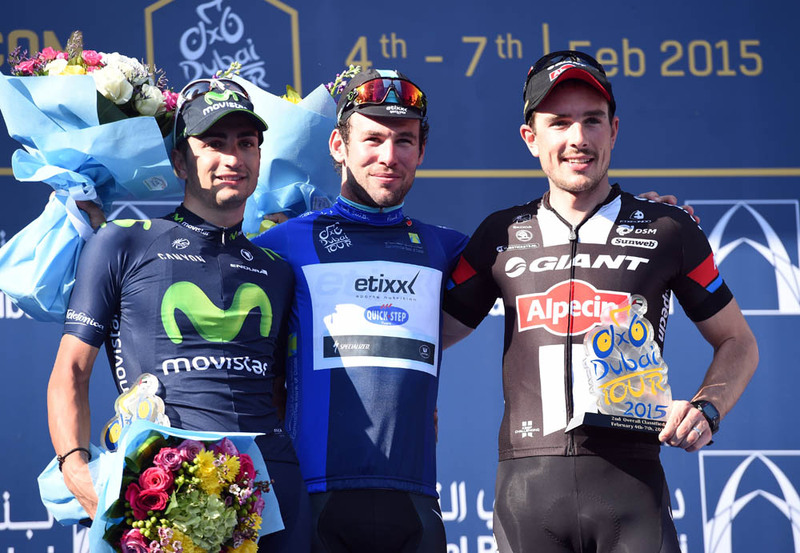 Cavendish thus started his sprint with a head-start, and despite the best efforts of Elia Viviani (Sky) and Juan Jose Lobato (Movistar) – who finished second and third respectively – victory for the Manxman was inevitable. 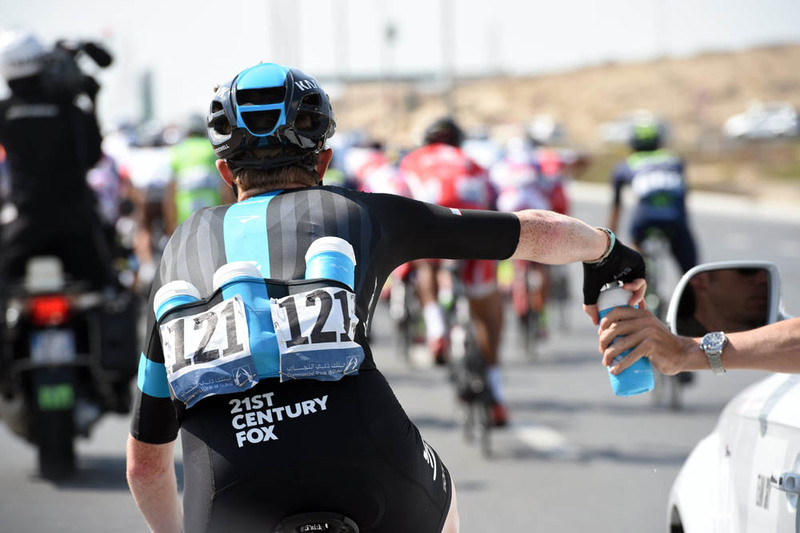 Britain’s Ben Swift (Sky) finished fourth, two places behind team-mate Viviani. A flat parcours meant that few events of note took place prior to the sprint. A break of five was contained by the peloton and caught with just over six kilometres to spare, and never threatened to make it to the end.